That may be a bit tongue in cheek on my part but it is certainly true that many dog owners consider the "puppy puberty" period as the most frustrating stage when taking care of a dog at home. That is why a lot of people resort to adopting an older dog so they'll get past the destructive stage of having a puppy, the teething stage, the house-training stage and the adolescent stage that has put many dog owners in tears of frustration. This notion goes the same with Lab dogs. Whatever your motivation in acquiring an older Lab, whether because you don’t want or have the time to cope with a puppy, or because you’ve fallen in love with a Lab at an animal shelter; Labrador adoption is a great idea as long as you consider some factors before finally deciding to adopt that Lab dog. The dog's behaviour. For you to know the dog's behaviour, you must get acquainted with the previous owner if adopting privately or the staff at an animal shelter. Ask them why they decided to give up the dog and if the dog has any behaviour problems. The dog's health condition. With regards to the dog's health, try to ask the previous owner if it has any suspected and known health problems. Try to figure out if the dog has been tested for worms and has been exposed to any diseases. Additionally, ask about the vaccination history. If it is a male Lab, ask if it has been neutered. The dog's age. It is important to know the age of the dog so that you can estimate how long you can keep the dog. Also, you can consider an older Lab (6 years old and above) if you like a more quiet dog. 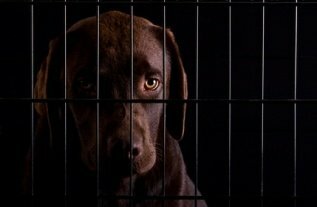 Most Lab rescues can provide a dog that was involved in a case where an owner could no longer care for the pet, including time for for companionship, inability to take the time to train the dog, no time to exercise the dog, or no longer being able to afford veterinary care. As you can see, the reason is rarely the dog's fault, making these Labs great pets. The advantage of an adult Lab adoption is that they possess some basic obedience compared to puppies. Grown up Labs are just as predisposed to bond with new people, as a puppy would be. But, they are far less likely to ruin your rug or chew up your couch compared to having puppies. Also, you already know the dog's temperament, so there will no longer be any unpleasant surprises and you only get what you see. Lab dogs simply love people's company. However, like any other dogs, if left alone for too long, it is most likely that they will express their displeasure and may turn destructive. Sometimes they express their displeasure by barking excessively and chewing on belongings. 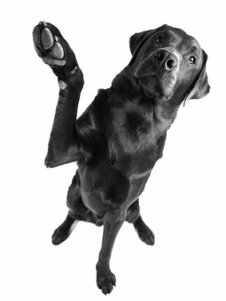 It is probably stating the obvious but the best source for Labrador adoption are animal shelters and pounds – look in the local phone book for contact details or ask a vet which shelter they would recommend. Many Labs find their way to these places for a variety of reasons. But for whatever reason it maybe, these places take good care of the dogs until such time they find themselves a new home. We'll never know but maybe your Lab soul mate is an adult dog that has long been waiting for someone like you to shower them with head rubs, love, and loyalty.